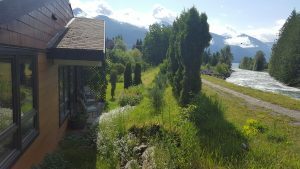 Welcome to the Cottage by the River in Kaslo, B.C.! 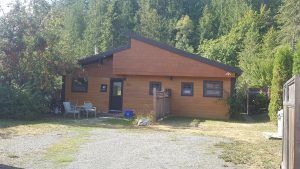 The Cottage is centrally located next to Kaslo River, and minutes away from beaches, trails and downtown. It has a fenced yard. Pets and kids are welcome ! 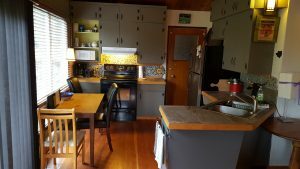 The Cottage by the River will be operating year round ! That means you can book the Cottage for any dates you please. Enjoy the soothing sound of the Kaslo River. The wood stove will keep you nice and warm. 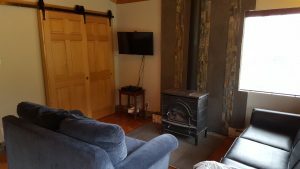 The Cottage by the River sleeps 4 to 6 people comfortably. 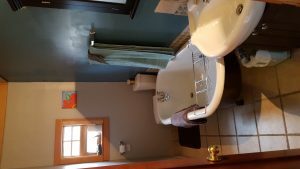 The master suite features in-floor heat and a claw-foot tub. 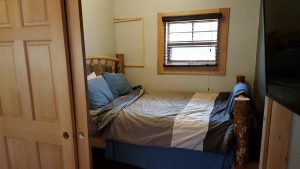 The Cottage features two full bathrooms with shower and bathtubs, 2 queen sized-beds, a queen-sized pull-out couch, and an extra queen-sized mattress. 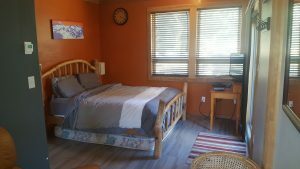 The Cottage by the River is one of Kaslo’s premier accommodations, available at an affordable price! 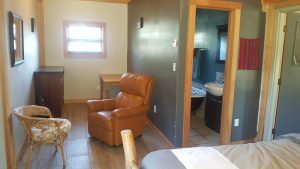 The Cottage is open all year round! We offer special Winter overnight packages for smaller self-guided Ski-touring groups that include transportation by snowmobile to the most desirable touring areas. For more information, please contact us. 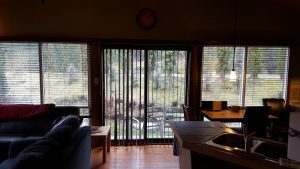 The nightly rate for the Cottage by the River is $160 Canadian Dollars. Inquire about off-season and length-of-stay discounts. We require a 10% non-refundable deposit if you wish to book in advance, which is advisable.